A family-friendly production celebrating the achievements of student dancers is twirling into the town centre. Performers from Next Level Dance School will strut their stuff in styles like street dance and cheerleading in their first-ever professional end of season show. 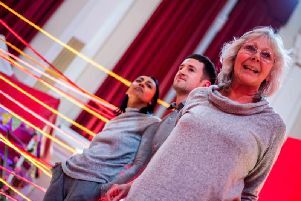 Lucy Fallows, teacher and company owner, said: “The showcase celebrates all ages and abilities at Next Level Dance. The audience can expect a fun, exciting and entertaining show. “The performances so far are looking fantastic. Everyone is working extremely hard in their rehearsals to ensure they are more than ready for their chance to shine on a professional stage. The students range from three to 26-years-old and will perform in the following groups: Fiyah; D-Feet; Dynamix; Sparx; Xplosion; Diamonds; Tigers; Little Stars (ages three to six); and the open drop-in class in street dance. Performances will take place at the Burnley Mechanics Theatre on Saturday, July 21st at 6-30pm, with doors opening at 6pm. Tickets: £10; under fives £5; 01282 664400.